Improving your mobile website can be complex and expensive. If you’re using a responsive design it might be impossible for you to tweak your mobile website to include content, calls to action or images that you would like mobile users to see. There is no easy way to edit the site as opposed to a dedicated mobile site, which allows you to make any customization you want. That’s why you need a dedicated mobile website that allows you to make enhancements to your site quickly and easily. If you find it difficult to manage a website on a platform like WordPress or Joomla then you can transfer your site to Exai's drag and drop platform that allows you to customize the mobile version. and build a website on Exai using a stunning template! SEO: Simple - less content means less SEO. If you have a mobile optimized site, you can include relevant content, along with keywords without the limitation that responsive sites put on you. Include calls-to-action above the fold. Using Exai, you'll receive a dedicated mobile site that you can edit from any device. With the flexibility to build it yourself or have the site built by us while maintaining full control. You don't need any coding knowledge or special design pre-requisites. Your site can cost you as little as $13/month. You don't need a programmer to do changes or updates and your cost and time savings can be very substantial. 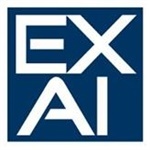 Exai's goal is to reduce the dependence on costly and times consuming website design, maintenance, and updates. This is especially important for SMB's that don't have a lot of time to spend on their site. You will get a reliable partner that can maintain your website and automatically include the latest technical updates so that your website can continue performing and giving better results.